Destia: I would have to say seeing Alloy chart in the Top 10 Beatport Trance Releases! That was a real achievement for me to see my artist name next to other huge acts and to see the track being received so well. That along with support from Alex M.O.R.P.H & Steve Allen on my remix of 'Sputnik' by Taival & Miikka Leinonen. 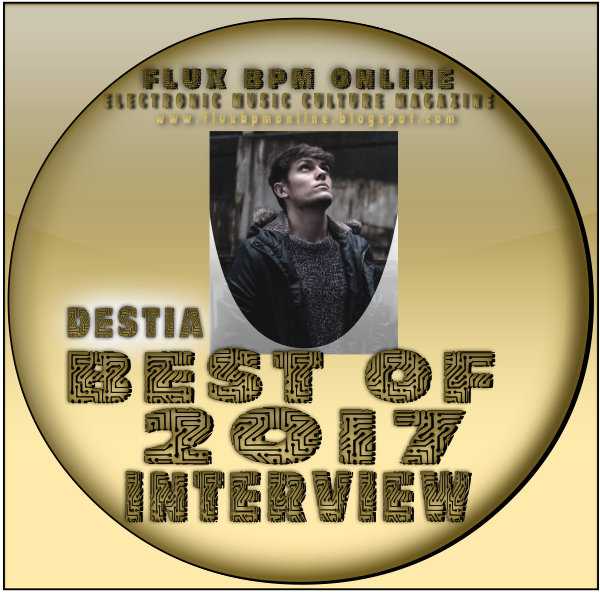 Destia: Finding the courage to take my music seriously and start believing in myself. The Thrillseekers - In These Arms (The Thrillseekers pres. Hydra Remix). I can remember being in the car hearing it for the first time so clearly thinking 'Wow this is special'. Will Atkinson - every release of his this year has been special & unique. Will Atkinson's remix of Dogzilla - Without You. Freshest sounding remix I've heard in years. My remix of Taival vs Miikka Leinonen - Sputnik. WAIO - everything the man touches turns to gold. Way Out West - Tuesday Maybe... was waiting years for it! Pure Trance 6 clinched it this year for me - so diverse and such high quality! Pure Trance 6 - perfect example of less is more! David Forbes Ft Emma Gillespie - Shadows. Powerful stuff. Richard Bedford on the new Above & Beyond - Northern Soul. His voice is simply outstanding and instantly recognizable! VII. Those guys are at the top of their game. Can't think of any! Bring back the electronic music video. Facebook - I've received some great fan messages on there. "The only thing that makes me more horny than a ****** release is a @destiamusic acid"
I'd say Ableton - even being a Logic User! Sneijder's set at Luminosity 2017! First time plays for a lot of his biggest Afterdark releases. MusicRadar (The Tech section). Great for staying up to date with plugins/techniques etc. Samsung Galaxy S7 Edge - got me away from my Iphone & couldn't be happier. Allen & Heath Xone 92 (those filters are to die for). 26) Best new sound or sample that has been used in Electronic Music this year perhaps introduced first by you? Hard to say - haven't heard many new sounds! Less is more - strip back those unneeded chord/melody changes. Finish Everything. Even if it's crap! Ibiza - perfect blend of relaxing and clubbing. DJ Mag has to be! Trainspotting 2 - those old school dance tunes got me so nostalgic. 33) Best online/PC/video game of the year that you have played this year? It's got to be Horizon Zero Dawn! Q: What you instrument do you play? The passing of Robert Miles was truly devastating. Destia: I have future remixes incoming on Tangled Audio, a follow up to Alloy, an uplifting track and even a vocal track!